Shooting recipes for magazine features is so much fun! We get to go all out and creative, which is such a nice change to photography for advertising campaigns from time to time. 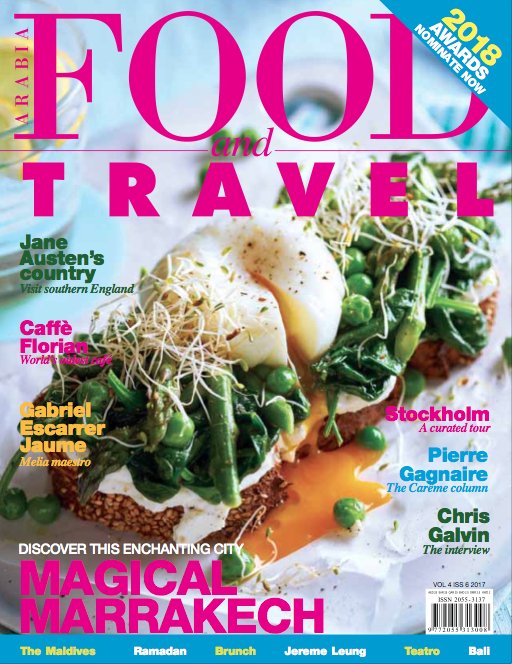 We shot this story in April, thinking it would be featured in Food&Travel Arabia in May. 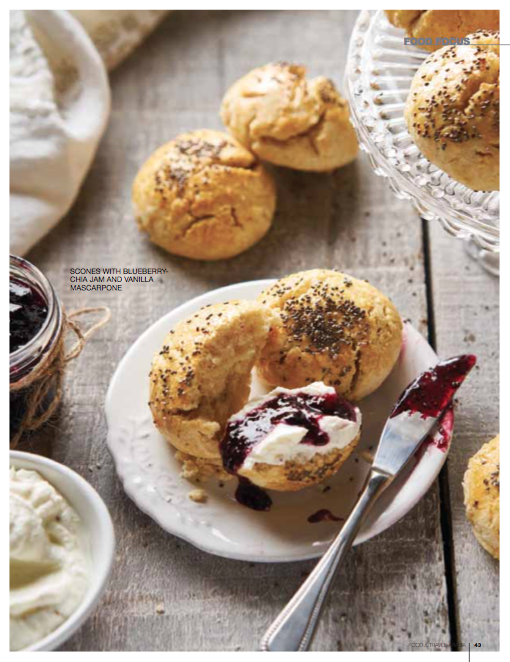 It ended up being published together with our story on “Ramadan around the world” in the June edition, which made all food pictures in the magazine ours! 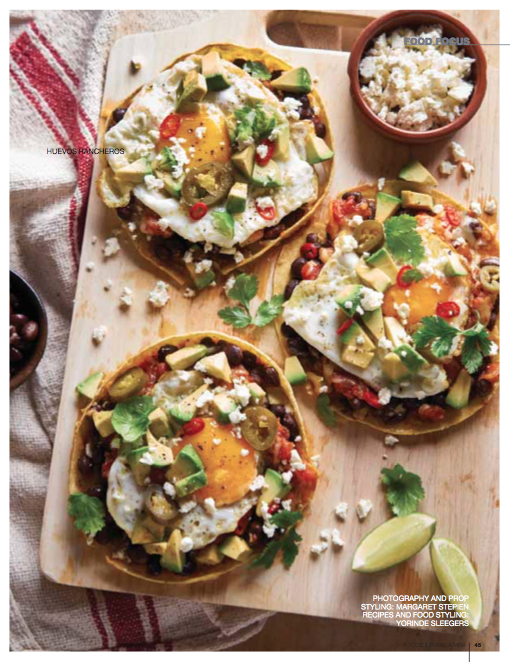 To come up with 10 brunch recipes without at least one of them being eggs, is unthinkable, so as you’ll see they’re represented plenty and in all forms, shapes and preparations. It sounds like a crazy combination, but the saltiness of the bacon and cheese go perfect with the apples and syrup! 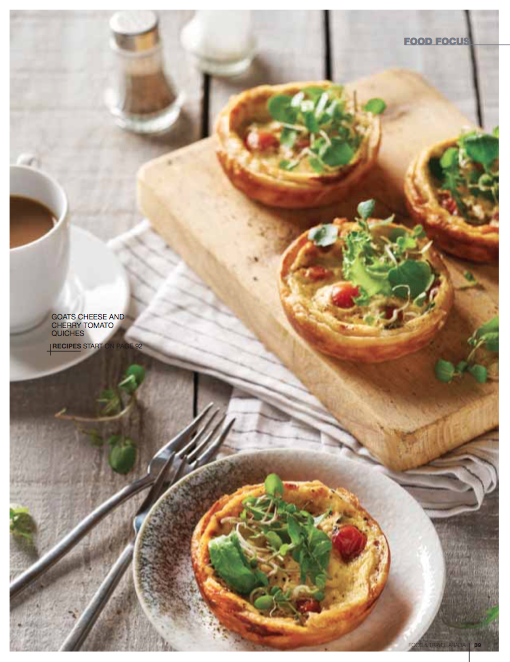 Light and airy, souflé style quiches that puff up beautifully when you bake them! 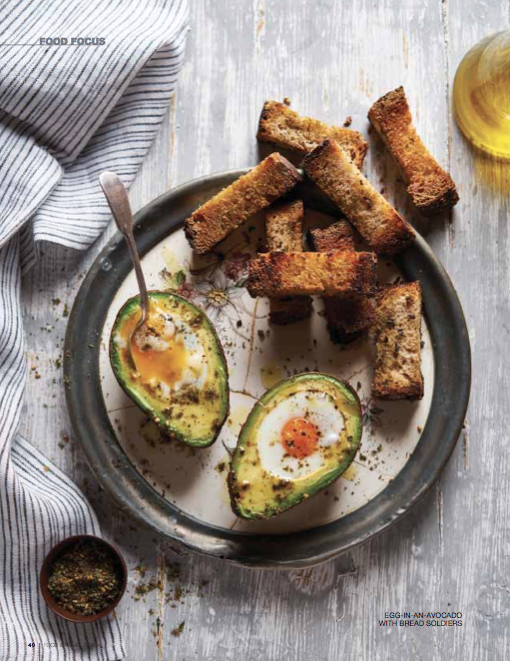 It might sound a bit odd to broil avocado’s, but give it a try and you’ll see the result in super tasty! 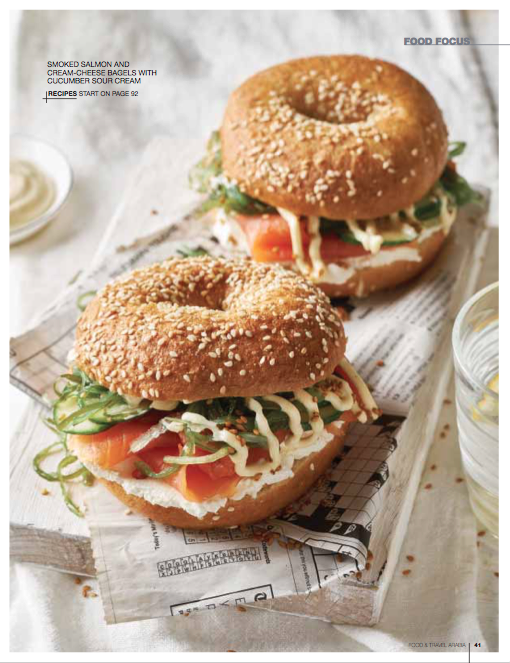 The classic bagel, but with an asian twist: wakamé salad and wasabi mayonnaise. Making jam without tonnes of sugar is easy if you use chia seeds to thicken it! “Thousand layer cake” without the use of an oven. 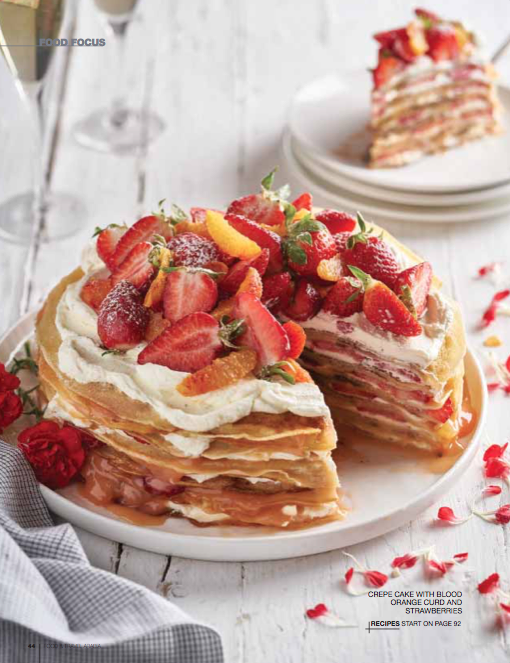 You bake the layers one by one, then stack them, alternating with tangy orange curd and luscious layers of cream. 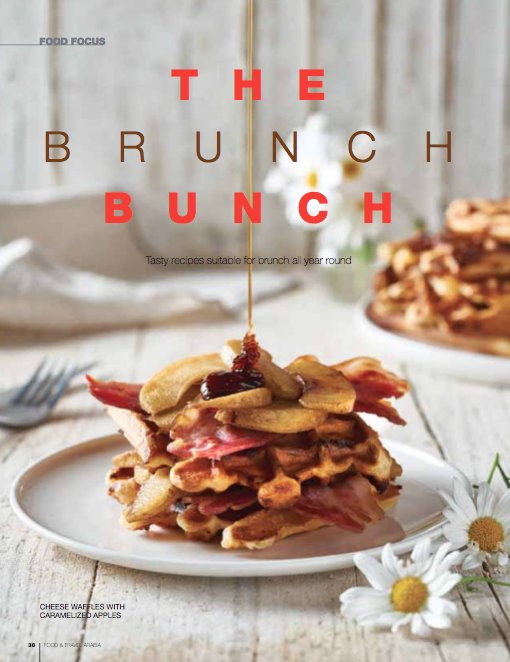 The brunch classic that seems to consist of 100 ingredients is actually way easier to make as you would think! Only thing you need is a few basics in your kitchen cabinets..
All recipes can be found on Food&Travel Arabia.